useful resources on a variety of topics. We keep our findings organized on Del.icio.us, Scribd, and Pinterest, three popular social bookmarking, document collection, and archiving sites that are all about community interaction. Feel free to browse the categories that we’ve already created. When you see something you like, check out the link, then Pin It, Tweet It, Like It, or Share it to Facebook! We Update Our Bookmarks and Favorites Weekly. Browse Them Now! Follow W.O.R.D. Ink’s board Write on Pinterest. Follow W.O.R.D. Ink’s board Observe on Pinterest. Follow W.O.R.D. Ink’s board Revise on Pinterest. Follow W.O.R.D. Ink’s board Discover on Pinterest. Follow W.O.R.D. Ink’s board Writing Adventures on Pinterest. Follow W.O.R.D. Ink’s board Tutoring, Continuing Ed, and Tech Training on Pinterest. Follow W.O.R.D. Ink’s board For Business Professionals: Resources and Media Hubs on Pinterest. Follow W.O.R.D. Ink’s board For Writers on Pinterest. Follow W.O.R.D. Ink’s board For Teachers on Pinterest. Follow W.O.R.D. Ink’s board SoCal Writing Workshops, Ages 8-18 on Pinterest. Follow W.O.R.D. Ink’s board Internet – Friendly for Kids on Pinterest. Follow W.O.R.D. 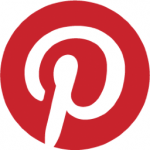 Ink’s board Child, Parent & Family Development on Pinterest. Follow W.O.R.D. Ink’s board Creative Outlets for all Kids, Tweens and Teens on Pinterest. Follow W.O.R.D. Ink’s board Youth Advocacy and Self-Expression on Pinterest. Follow W.O.R.D. Ink’s board Resources for Teens, 14 and Up on Pinterest. Follow W.O.R.D. Ink’s board Resources for Kids Ages 10-14 on Pinterest. Follow W.O.R.D. Ink’s board Resources for Kids Ages 6-9 on Pinterest. Follow W.O.R.D. Ink’s board Research, Internet, & Tech Tools for All Ages on Pinterest. Follow W.O.R.D. Ink’s board Literature, Literacy, and Reviews on Pinterest.